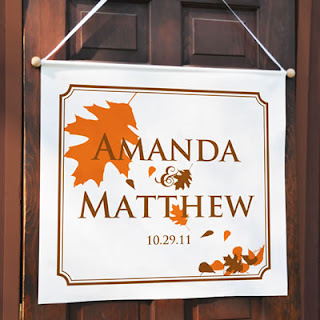 Announce your love in style with our Fall Wedding Custom Banner! 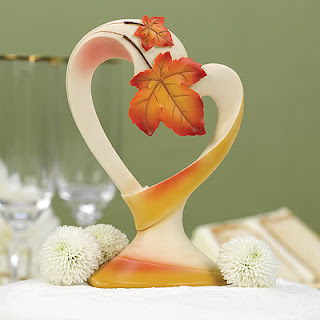 Fashioned with autumn leaves and personalized free of charge, this super trendy, decorative item will make your celebration more distinctive and fun! With its polished look, it works famously at your reception, ceremony and even in your home after the I do's are done... making it an incredible accent you'll enjoy throughout the years. We LOVE this!! 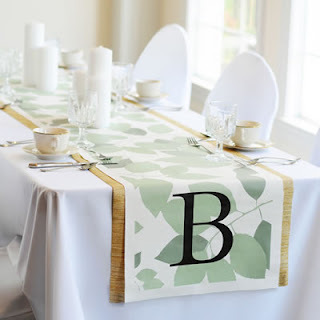 This beautiful table runner is perfect any time of the year! With their flourished look, our Fresh Foliage Decorative Table Runners make amazing accents for your wedding reception decor. Exclusively designed with your initial printed directly into the fantastic foliage - done in the color of your choosing. The custom made wedding accessories are a great way to add a seamless look to all your reception tables without exerting a whole lot of effort. This beautiful accent will serve you long after your wedding day and can be used for many years to come! Who ever said that your wedding accessories have to be white...Boring! 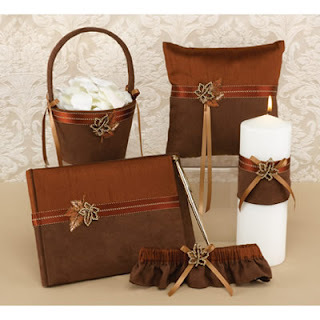 If you are planning a Fall wedding, why not go for this gorgeous brown collection of suede-like material with textured fabric and satin ribbons. A rhinestone brooch is set against an embroidered leaf accent...perfect attention to detail. The full wedding collection has 5 pieces, but each are also available separately. 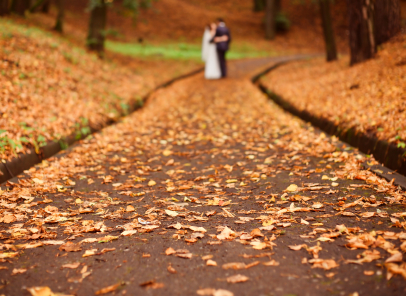 We hope these ideas will help you as you prepare for your Fall Wedding!! Be sure to visit our online store for more gift ideas, wedding favors and accessories!! Check out WhereBridesGo.com and Don't forget about our Coupon Code VIPBRIDE which saves you an additional 10% off your entire order at WhereBridesGo.com!! We also offer FREE SHIPPING on all orders over $100 (continental US only).